Mothers Day is about celebrating your love and appreciation for that special woman who brought you into this life. 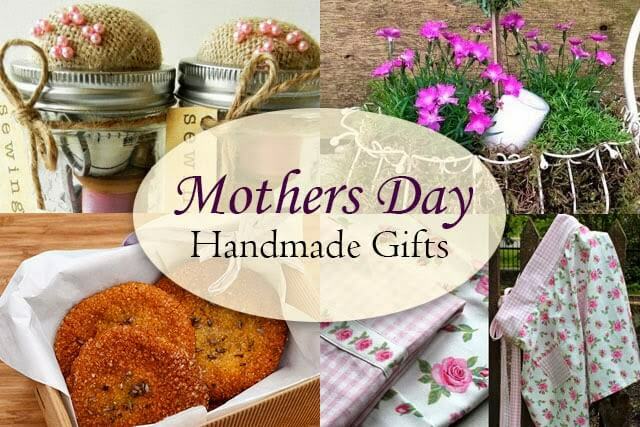 What better way of showing that you care then by making her a specially tailored present that comes straight from your heart and home.This collection of gift ideas ranges from handmade beauty products to gardening goodies and baked treats. Each are relatively easy to make and all show that handmade can be the more creative and beautiful option in gift giving! 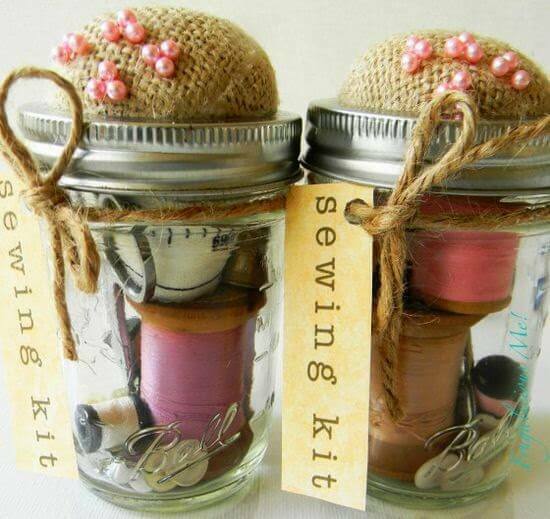 I found this tutorial on how to make a Mason Jar Sewing Kit on Pinterest and love how pretty and easy the project is. 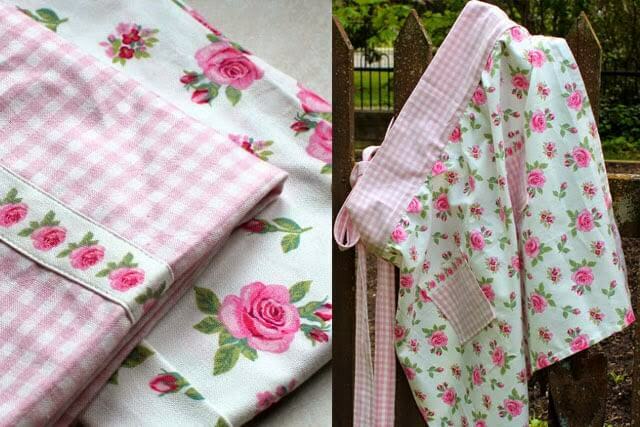 If your mom loves sewing and crafting then she’ll be overjoyed to receive such a useful and beautiful gift. 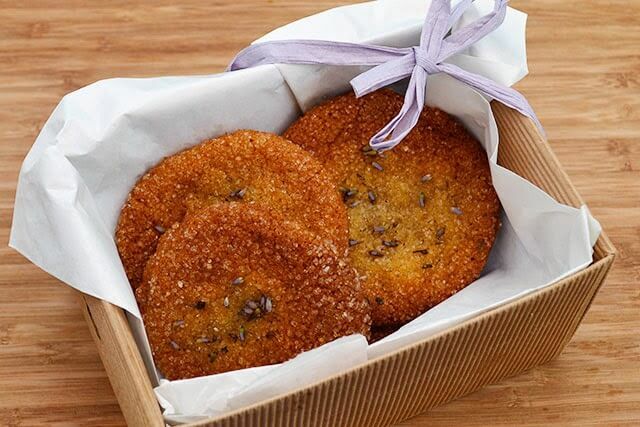 One gift that will go down a treat is homemade Lavender & Honey cookies. Quickly made, these fragrant bites of deliciousness look lovely in a natural kraft box. 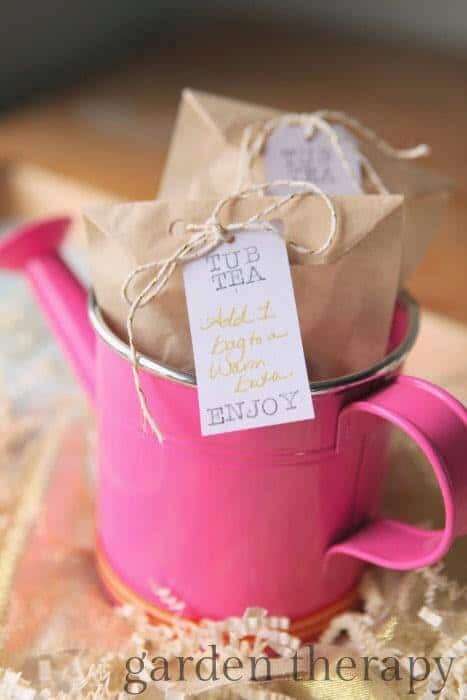 Garden Therapy has loads of gift ideas perfect for mom but I especially liked this clever tutorial on how to make a cheery garden apron. The pockets in the front would be a perfect place to stash extra treats like seeds, garden tools, a Gardener’s Hand Soap, or a set of gardening gloves. 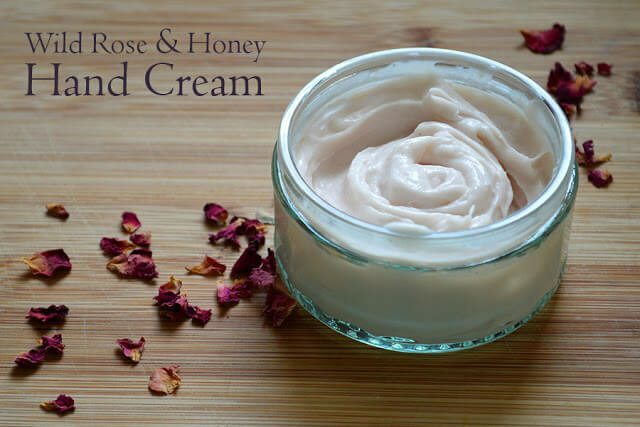 All moms deserve a bit of pampering and you can easily make yours this luxurious and natural Wild Rose and Honey Hand Cream. Make a larger batch and you’ll have enough to treat yourself too! 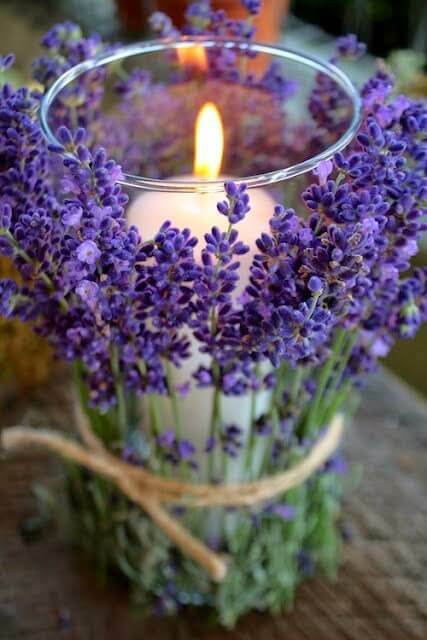 Simplicity can be stunning and it certainly is in the case of this candle I also found on Pinterest. Purchase a votive and a candle to fit inside then decorate the outside with flowers of your choice. A bit of natural string holds the arrangement in place. Make your mom a Terrarium kit with a mason car, pebbles, an instruction card and polymer mushrooms. The tutorial instructs you to leave the kit free for the recipient to add soil and plants but for Mother’s Day I’d go ahead and add those too. 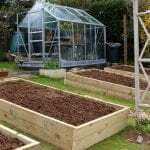 Ask the knowledgeable folks at your local gardening center which plants they recommend. Why buy your mom a bouquet that will only last for days when you can give her flowers that will keep blooming for weeks? 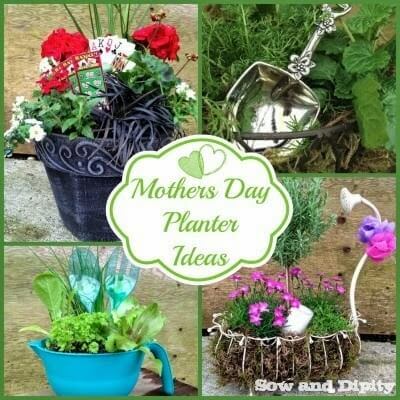 With this collection of Mothers Day Planter Ideas you’re sure to find one that your mom will adore. I think mine would love the one with the bonus scratch cards! Transform an old photo album into a clever and colorful Seed Packet Organiser for your gardening mother. 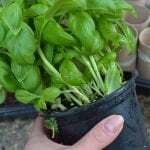 Fill some of the sleeves with seed packets for extra excitement! 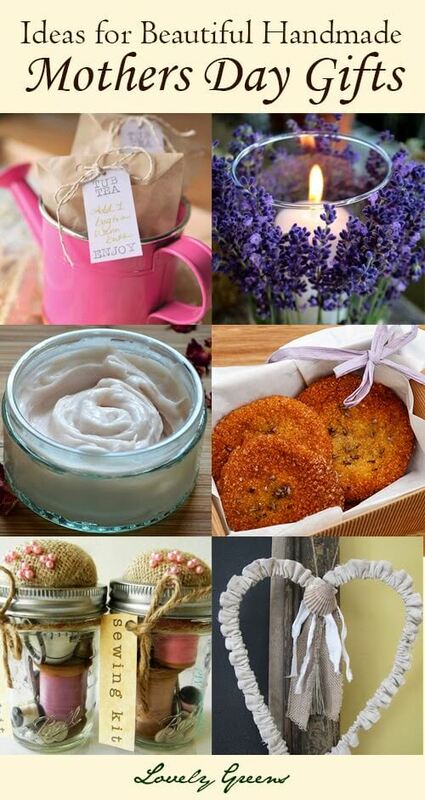 Garden Therapy also has some great ideas for handmade bath and body products that kids can make including these for recipes for relaxing Tub Tea and a coconut oil lotion. Aprons are easy and fun projects that moms will appreciate. 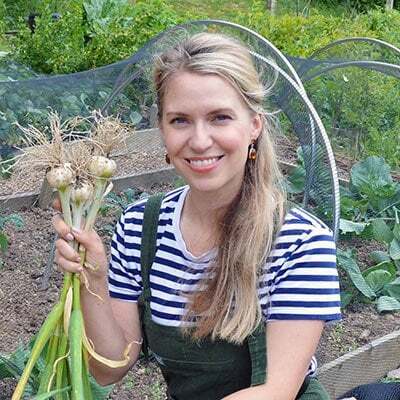 If your mom is more of a cook than a gardener then have a look at this tutorial that shows you how to create this gorgeous apron from tea towels. Super cute. You won’t find a simpler handmade bag tutorial than this one. All that’s needed are two fabric place mats, a zipper, and a sewing machine. 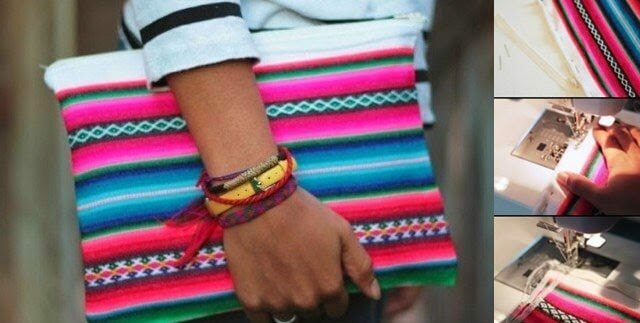 You could probably make this bag in about fifteen minutes. When I make cold-process soap it takes an hour to make a batch then over a month for the soap to cure and be ready to be used. 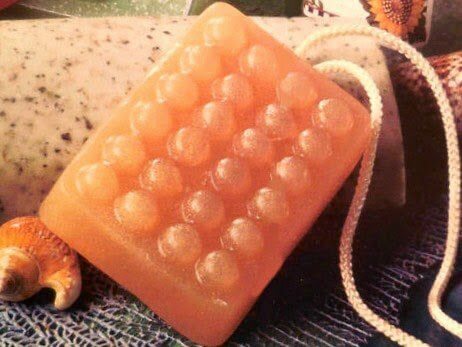 This tutorial shows how to make a handmade bar of Apricot Soap on a Rope in just minutes using ingredients that can be found on Amazon. 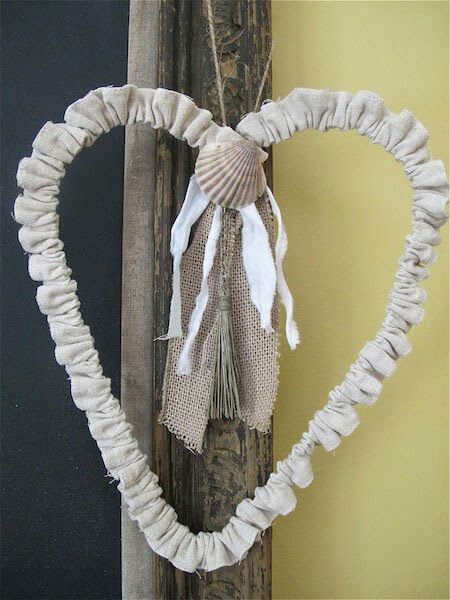 A decoration that can be given on its own or displayed with other gifts, this simple handmade heart is made using a wire hanger, fabric, and optional embellishments. This seems like a child-friendly project too and the end result can be hung on the wall as a loving reminder of mother’s day all year long. 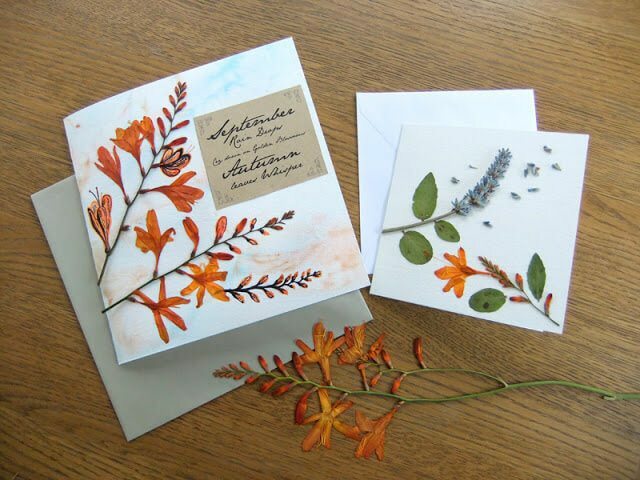 And lastly, great for any time of the year, use dried and pressed flowers and leaves to make handmade cards. They’re fun to make, are mini pieces of artwork and will delight the recipient. What a lovely way to tell your mother you love her on Mothers Day. They're soft, sweet, and aromatic…lavender cookies are the best! A lovely selection of gifts! 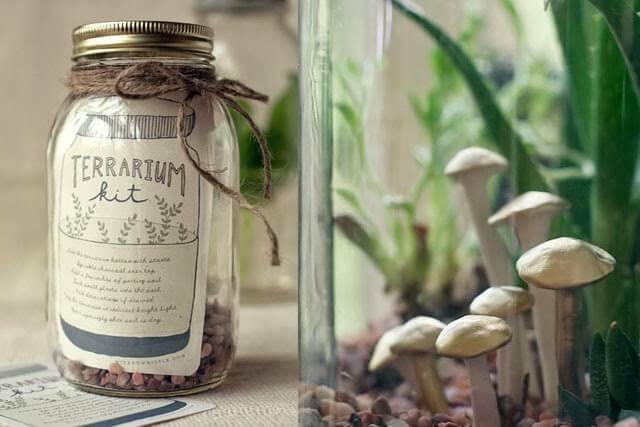 and something for everyone- the terrarium kit is just adorable! I liked the sewing kit, something that I could make, I may want to include a magnifying glass as well. I thought of you today as I planted the red raspberry pop corn that I saved from last year's crop which started with the seeds that you sent. I had enough for two nice rows. There should be enough to pop this year if all goes well. Magnifying glass for threading needles? What a lovely selection of gifts – thank you so much for all the idea's. I would love to be able to visit my mother's memorial in Lincolnshire and place a votvice candle there. I miss her.